Juergen Klopp described Sunday's 2-1 win over Fulham as an average game, but a sensational result as they returned to the top of the Premier League by grinding out victory at Craven Cottage. Liverpool manager Juergen Klopp described Sunday’s 2-1 win over Fulham as an average game, but a sensational result as they returned to the top of the Premier League by grinding out victory at Craven Cottage. A nervy victory enabled the Merseyside club to leap two points above Manchester City into pole position in the table, although the champions have a game in hand. It looked, however, like Liverpool would drop points before a stroke of luck allowed substitute James Milner to slot home an 81st-minute penalty. After taking a first-half lead through Sadio Mane’s 11th goal in as many games in all competitions, Liverpool missed several chances and looked bereft of energy in the second half. A howler by Virgin van Dijk, who had twice gone close to making it 2-0 with a pair of headers, gifted Fulham the equaliser before Mane won the spot kick thanks to Fulham keeper Sergio Rico’s error. Klopp acknowledged the result somewhat flattered Liverpool’s performance, which was affected by the exertions of an impressive 3-1 Champions League win at Bayern Munich on Wednesday. “It was an average game but a sensational result,” Klopp said. “For five-10 minutes before the equaliser we had so many little mistakes. We had controlled the game completely then we gave Fulham the ball. We had a very intense week. 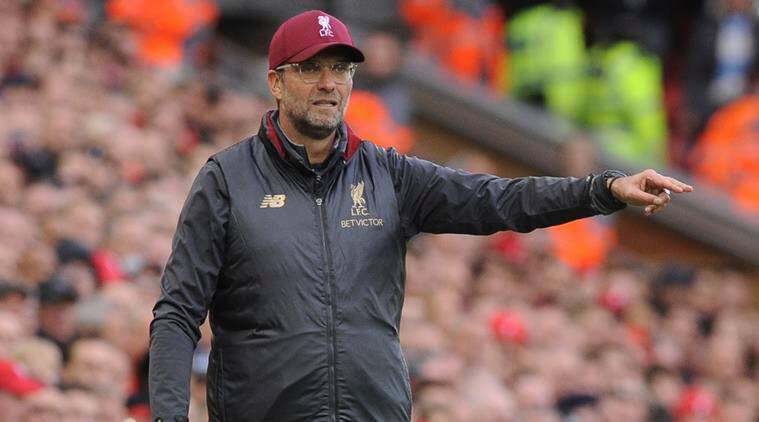 Klopp is banking on his team maintaining momentum in a bid to win their first league title since 1990 and, with little room for error, backed his side to take the race down to the wire. “It doesn’t look like City will drop a lot of points so we have to win and win,” he said.